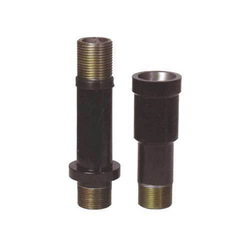 The top and bottom adaptors for uPVC submersible column pipes are made of high quality FG-260 grade cast iron. They are capable of withstanding high pressures. They are equipped with square threads for better grip. High accuracy and surface finish enables better efficiency. They are available in size range from 1 inches to 5 inches diameter. Heavy Adapter for pumps manufactured using quality raw material. We use high technological processes for producing our castings, which results in dimensional accuracy. Owing to the domain expertise of our engineers, we are also capable to customize our complete range as per the client's drawings and specifications. 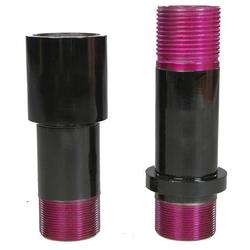 With the years of experience and vast knowledge, we are involved in dealing an exquisite range of CI Column Pipe Adapter.